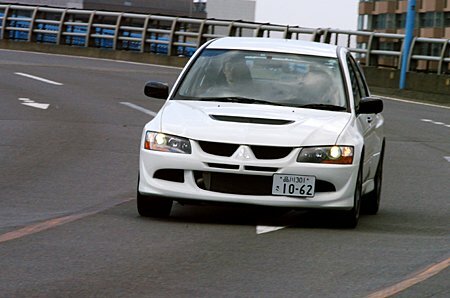 The video above shows 1:04.67.
http://www.fastestlaps.com/models/mitsubishi-lancer-evo-viii-rs (it shows a non-MR EVO VIII RS 5MT with wrong datas). The previous video (which claims that the fastest EVO VIII MR did 1:04.50 at Tsukuba) claims that the fastest EVO VIII (non-MR) did 1:05.12 at Tsukuba. Is there any reference for the 1:04:15? Is it on YouTube?